It’s been a while since I posted some “nice photos” of my coloring! 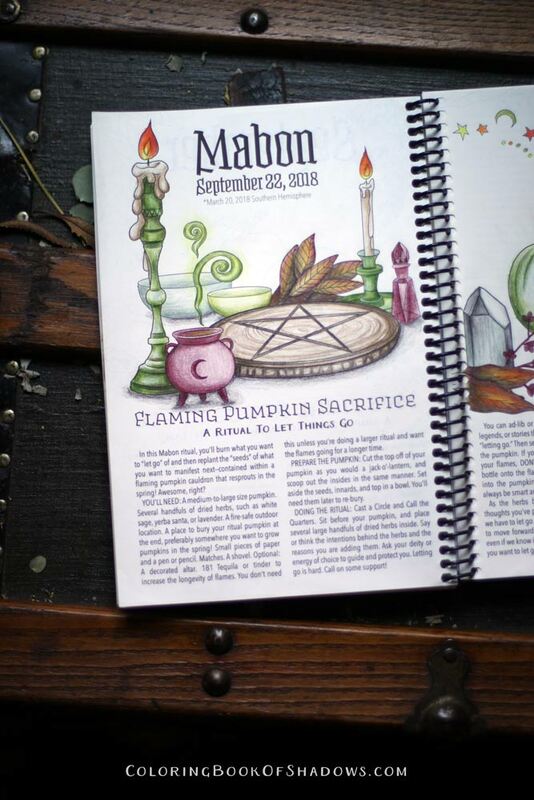 So, here are a bunch I’ve done this Autumn for Mabon and Samhain. 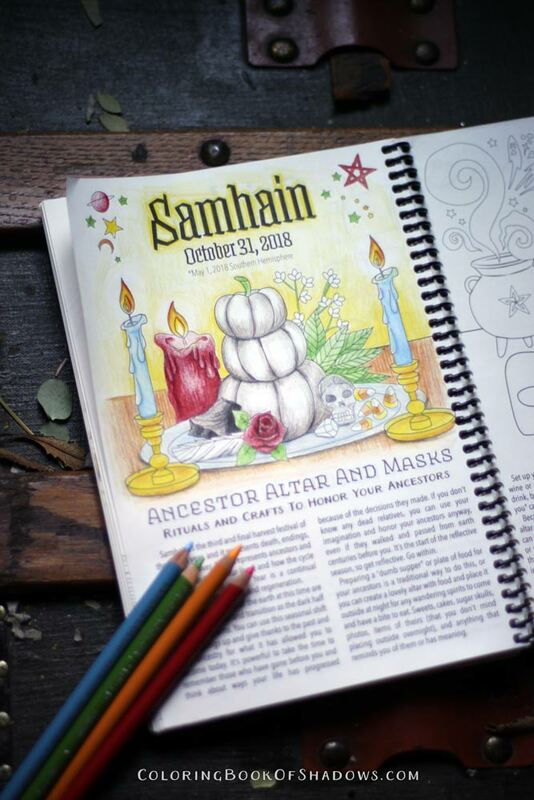 A Samhain ritual done up in colors inspired by the Rider-Waite tarot. From the 2018 Planner with Prismacolor Premier pencils. 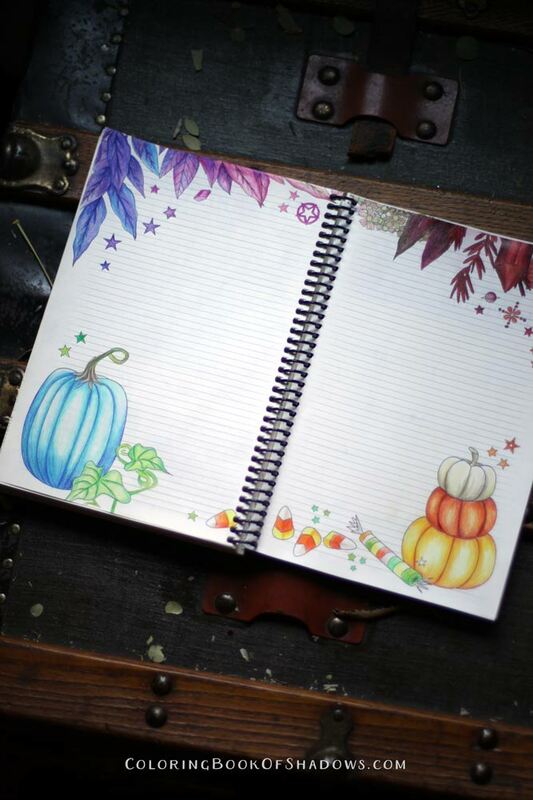 A note page spread done in a crazy rainbow motif! This was super fun! From the 2018 planner with Prismacolor Premier pencils. Witchy blue and purple pumpkin pile! From the 2018 planner with Prismacolor Premier pencils. 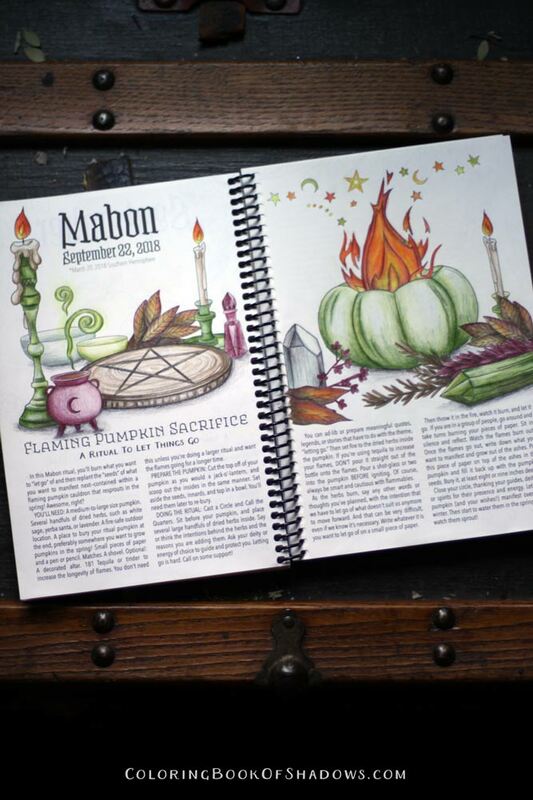 Mabon Ritual page colored in an earthy, green witch kinda vibe! 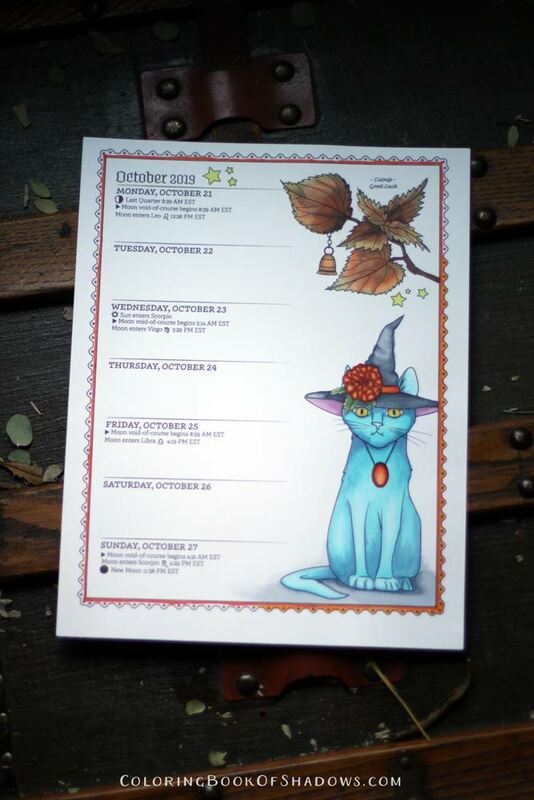 From the 2018 planner with Prismacolor Premier pencils. Close-up of the green pumpkin! 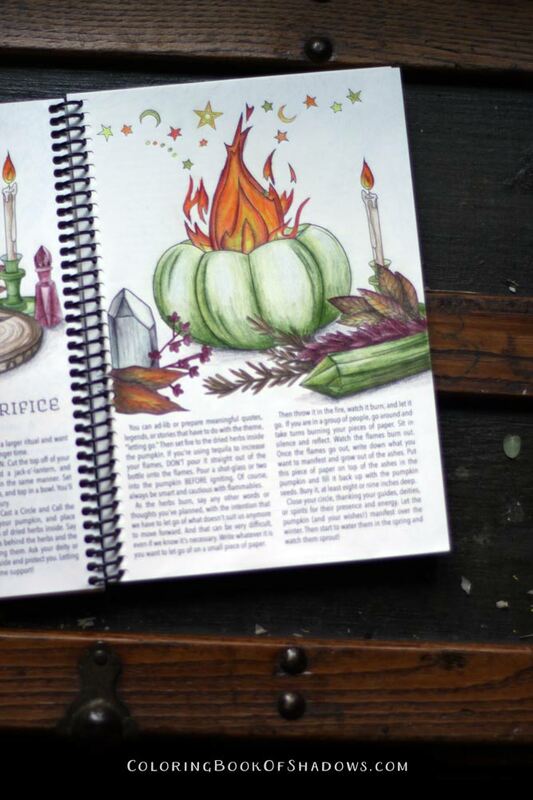 From the 2018 planner with Prismacolor Premier pencils. 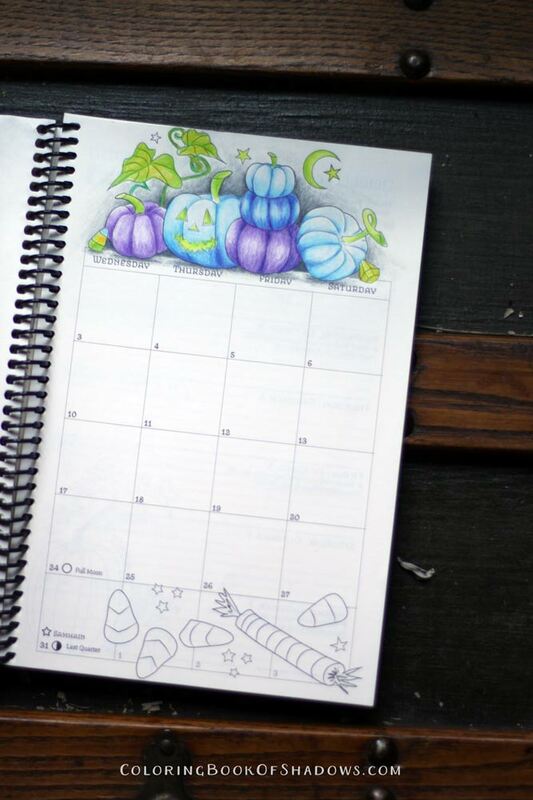 From the 2018 planner with Prismacolor Premier pencils. 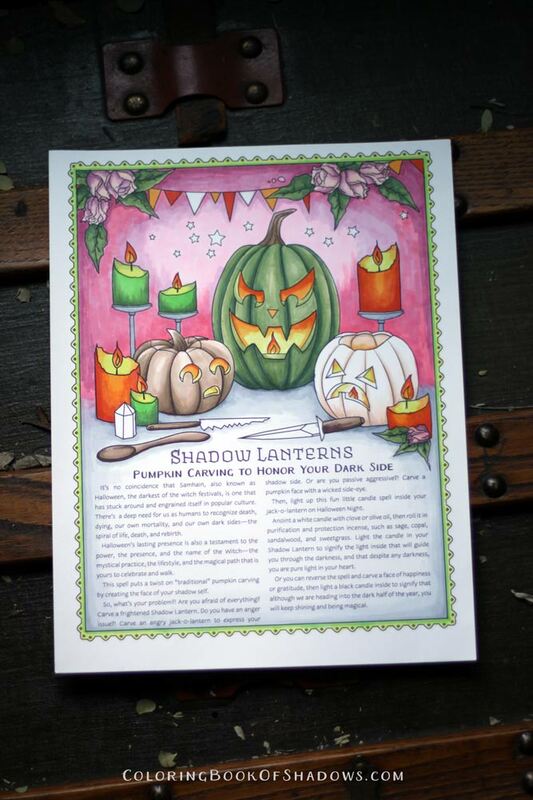 “Shadow Lantern” Samhain ritual in a vintage 60’d inspired color scheme. From the Planner for a Magical 2019 with Copic markers! 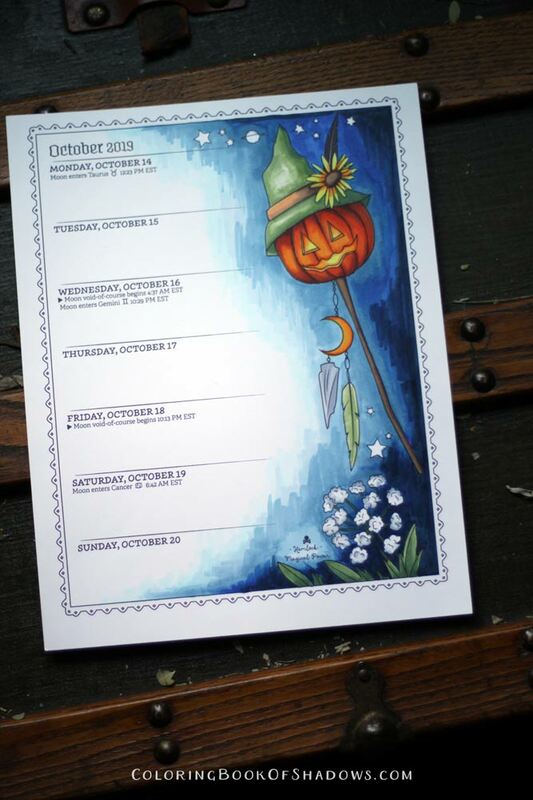 Pumpkin head witchy calendar page! From the Planner for a Magical 2019 with Copic markers! And my spooky blue kitty! aww!! From the Planner for a Magical 2019 with Copic markers! 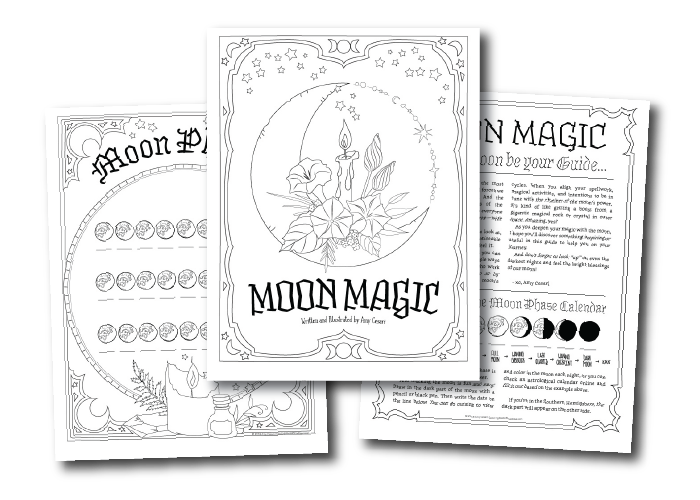 Hope you enjoyed checking these out!